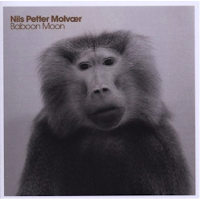 Baboon Moon is the first and by now the only release of the new Nils Petter Molvaer Trio. Previously reviewed on this blog, it has been released on Molvaer’s own label Sula in 2011, distributed worldwide by some major labels and shortly after by Thirsty Ear Recordings in digital format. The famous trumpeter, among the best known and visible exponents of the Norwegian Electrojazz Renaissance in the last (at least) two decades, has replaced his long time collaborators from the ECM years and solid guitarist Eivind Aarset and the equally renowned drummer Audun Kleive with the rising star of the guitar Stian Westerhus and the pretty interesting drummer Erland Dahlen. The readers of this blog will (maybe) know my loyalty to Westerhus' music, so I will not fake that I think the most interesting aspects of this pleasurable album can be attributed to the young guitarist. I mean, Molvaer, whose influence has been in my opinion seminal for many “new jazz” musicians (especially in Norway but not just there), does in these nine compositions exactly what he always marvellously does: whispering warmly, trailing notes, sampling the slaptonguing on the mouthpiece and fulfilling the result with waves of reverb and chorus (maybe here less than usual). About his collaboration with Molvaer, Westerhus said in a recent article “I only have to play one groove, in one key and three chords, so I can force Nils Petter into any corner I want, and he can force me into any corner he wants, which is great”. Listen to a piece like “Blue Fandango” to understand how much truth there is to this assertion. Also Dahlen’s rock approach enhances constantly the groove of the album. The division between the tracks appears in some way more nominal than actual and the whole stream strongly resembles the trio's live performances with their really sparse moments alternating to growing episodes. The biggest value of the album, which is certainly listenable and egregiously recorded, lies in my opinion exactly in Molvaer’s ability to have chosen two new talented collaborators that bring new blood to the consolidated compositional approach of the great musician. Unluckily, after extensively touring during the whole of 2012, it seems that the promising union between the maestro and guitarist has already come to an end, at least in this trio's embodiment. I wonder why (but I’ve a couple of theories). thank you for revisiting and reviewing this album. I agree that there is a seamlessness about the album that enhances its cinematic qualities. I would pitch this higher than three stars, based on the trajectory of Molvaer's music, but then again I'm biased: I happen to love (or really like) almost everything the guy makes. Admittedly, it is hard to throw superlatives at an album by an entirely new group - you really have to see what they do next to get the full picture. Sadly, from what you have said above, we might not get to hear what these three do next, which is a real shame.